리우데자네이루에서 여행하기 편리한 호텔을 찾고 계신다면 Augusto´s Rio Copa Hotel 만큼 좋은 곳이 없습니다. 이곳에서 생생한 도시의 모든것을 쉽게 즐기실 수 있습니다. 호텔에서 가깝워 쉽게 갈 수 있는 Sao Zacharias Hospital, Rio Sul Shopping Center, Mural Babilonia 같은 명소와 수많은 관광지가 있습니다. Augusto´s Rio Copa Hotel 숙박시설은 흠 잡을데 없는 서비스와 필수적인 모든 오락시설을 활기찬 여행자들에게 제공합니다. 이 호텔은 고지식한 손님도 만족할 다수 시설을 제공합니다. 품격 있는 객실 시설을 경험할 수 있으며, 일부 객실에 구비되어 있는 에어컨, 미니 바, 알람시계, 전화기, 위성 방송/케이블 방송 또한 재충전의 시간에 도움이 됩니다. 호텔에서 지내는 동안 레크레이션 시설 등 풍부한 시설을 이용하실 수 있습니다. 최상의 시설과 완벽한 위치의 Augusto´s Rio Copa Hotel 숙박시설은 리우데자네이루에서 즐겁게 머무르시기에 완벽한 장소입니다. The room is small and not so clean. We checked in at 11pm after a flight and they were courteous and helpful. They rooms were ready and clean and they could answer all our questions in English. Breakfast has a wide selection of food. The location was great. The wifi works well. The stay was great but the receptionists were not too helpful. We had to call for reservations and book our own tours. It was pleasant and enjoyed it very much. I made an human error and booked it for the wrong day, since I left that day from the US I did not land to Rio De Janeiro unil next morning. I called Agoda and also wrote an email but were not very helpful. Told me I was not able to change the date and will be charged full amount. I arrived at the hotel the next date and explained to Keyla what happened and she check me in with no problems. Very unsatisfactorily. The Staff front desk n dining room during breakfast were not friendly at all. The quatilty of suute room is for 3 stars or budget hotel.level. in a safe area only 2 mins to the copacobana beach. rooms are clean and of a good size. staff are very helpfull. forget the pool on the roof..its very very small. 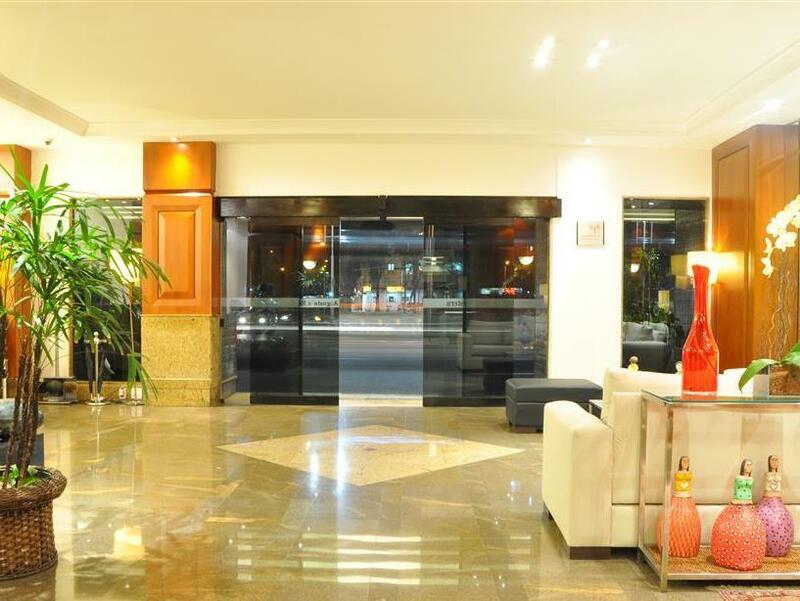 The hotel is on a very busy road next to the tunnel to Copacabana beach but the value for location and comfort are very good. The pool area is very nice however the pool itself is basically a big bathtub. The breakfast is well above average and the front desk staff is very knowledgaeable and helpful. I would definetly recommend this hotel. The hotel is quite easy with a nice staff. 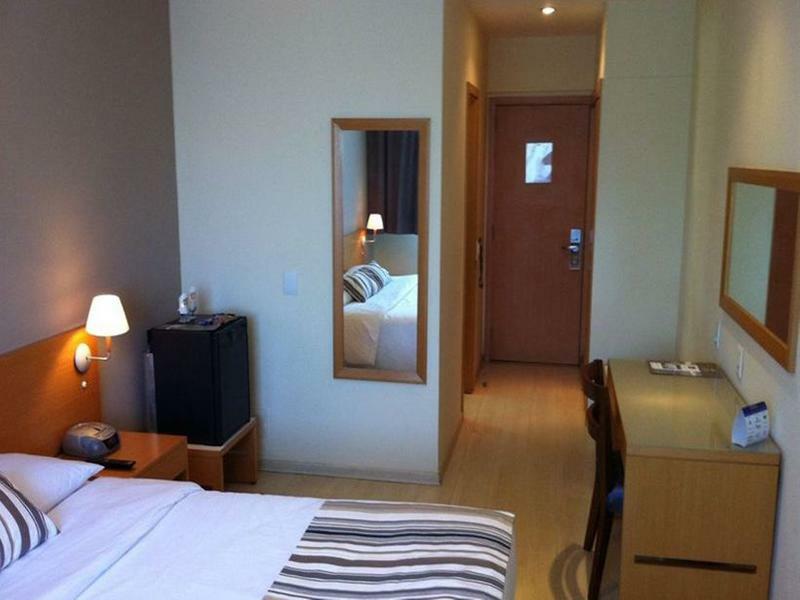 The location is very convenient, specially in the case you need to go to Botafogo beach early in the morning like me. Many good bars and restaurants at a walkable distance. Good option for business, but I'd definitely opt for something else for vacations. Nous avons été enchanté de cet hôtel, y sommes venus à notre arrivée à Rio pour y revenir en fin de séjour (réservations effectuées sous deux noms : GLENAT SERGE ET MARIE PIERRE BICHON Lorsque nous pourrons à nouveau être à Rio, pas d'hésitation, nous serons parmi vous ! Belles fêtes de fin d'année à tout le personnel et heureuse nouvelle année !!!! Das Hotel ist ok, es sind nur 3 Blocks zur CCopacabana und es ist sicher, Bushaltestelen und Metro nicht weit entfernt. Das Frühstücksbuffet ist ok, das WiFi sehr langsam und unzuverlässig. Der Pool ist klein und das Wasser dreckig, der Fitnessraum ist ok, die Sauna war nie an. Für einen Strandurlaub ist es ok.
muebles viejos y feos, falta de mantenimiento, desayuno pobre, precio alto para lo que ofrece. somos una pareja que ha viajado por todo el mundo. por lo que podemos opinar con autoridad. 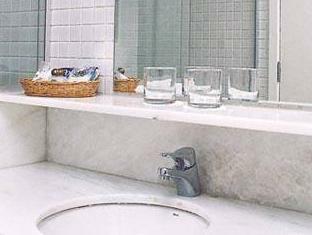 el hotel tiene pobres servicios, habitaciones feas y viejas, se desprendian los accesorios del baño, las habitaciones que dan a la calle son muy ruidosas. el personal muy amable y tratando de ayudar. toda la accion en copacabana esta alrededor del hotel que esta muy bien comunicado, cercano al aeropuerto y los atractivos turisticos. Cortinas do quarto rasgadas, baratas passeando no bufet do café da manhã. O hotel fica é bem localizado e de fácil acesso. O pessoal destaca-se pela cordialidade. O café da Manhã é bastante razoavel. O quarto do hotel é de bom tamanho, porém precisam de melhor manutenção.As cortinas das janelas estavam rasgadas. A classificação ideal do hotel são 3 estrelas e não as 4 anunciadas no site da booking.com. Em geral da para utilizar baseado no custo beneficio. Preço. Localização boa para quem quer estar entre o centro e a praia. Ar condicionado antigo. Localizado em avenida movimentada. Foi um bom custo beneficio pelo preço, apesar de achar hoteis na Av. Atlantica pelo mesmo valor. Localizaçã boa para quem quer estar entre o centro e a praia, que foi meu caso. O ar condicionado é antigo mas deu para o gasto. Localizado em avenida movimentada, mas da para ir a pé a praia e a restaurantes na avenida atlantica e em copacabana/Leme. Otroligt mycket buller från luftkonditionering och gata. Bytte till ett rum mot gården, mycket bättre. Struttura alberghiera all'altezza del prezzo, le camere sono ben sistemate, sempre ben pulite da personale gentile. Meglio una camera con vista sul bosco, come quella riservata, rispetto ad una direttamente sulla av. princesa isabel, molto più rumorosa. Colazione ottima con buona scelta. Zona non percicolosa anche se a Rio regna incertezza. La palestra era "in reforma", chiusa.